Norwegian Cruise Line’s newest ship is now sailing its inaugural season from Seattle, WA. 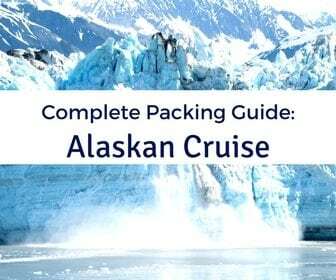 The largest ship to ever sail in the region, Norwegian Bliss offers cruisers plenty of things to do, see, and eat while sailing the Inside Passage. 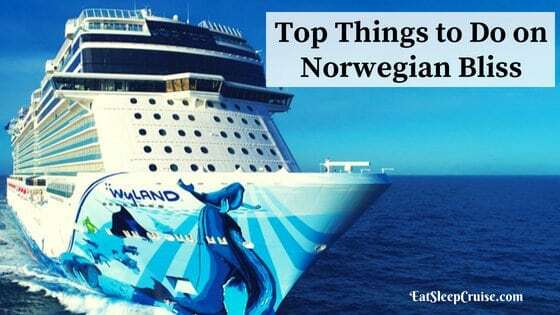 Our list of the Top Things to Do on Norwegian Bliss is the perfect place to start planning your vacation. Norwegian Bliss boasts two observation areas. 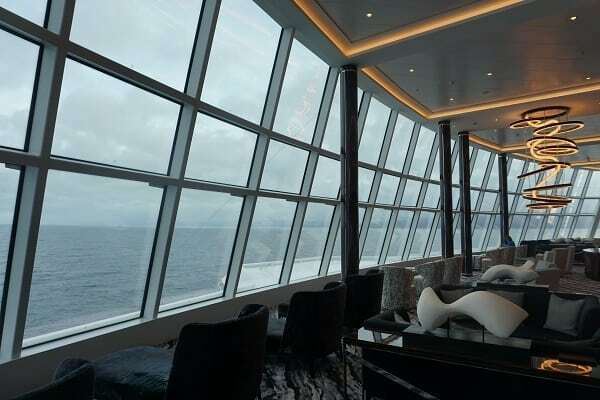 The Observation Lounge on deck 15 offers stunning views with wall to wall glass, making it the perfect place to watch the ship sail into port. This forward facing venue offers snacks during the day, so you can grab a quick breakfast or lunch before heading ashore. The Observation Lounge also has a full bar, so you can grab a drink while admiring the panoramic vistas. This venue was one of our favorite new additions to the ship. Guests staying in the Haven have their very own Horizon Lounge offering a similar yet more private experience. 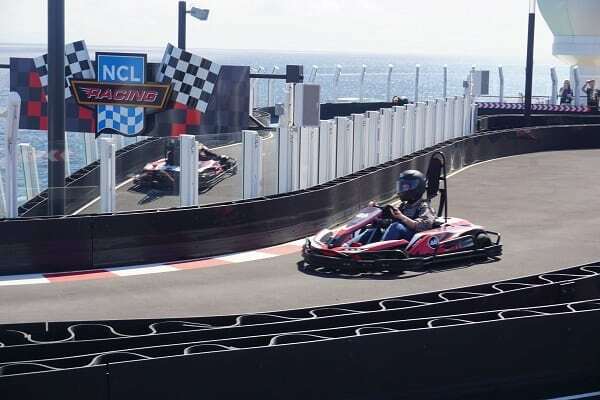 You can challenge your family and friends to a competition on the Norwegian Bliss race track. This 1,000 foot long, two-story track features electric race cars that can reach up to 30 miles per hour. Racers of all abilities will have the chance to compete in this exhilarating onboard activity. There is a cover charge of just under $10 per person that includes 8 laps around the track. 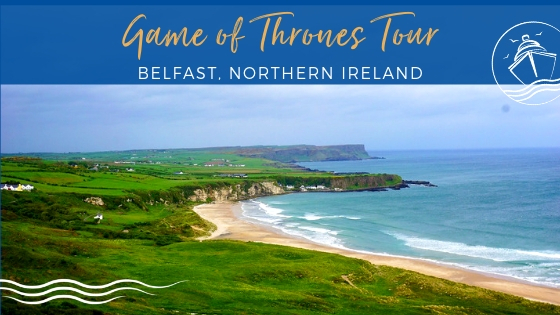 Just be sure to wear closed-toe shoes to enjoy this one of a kind activity on Norwegian Bliss. 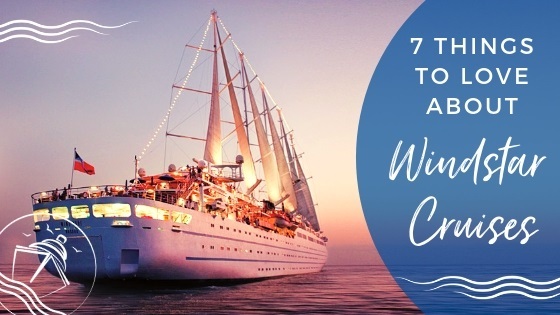 This Seattle-based cruise ship features some of the city’s most popular brands, including the first Starbucks coffee shop on an NCL ship. Situated on Deck 6, right near the Atrium, Starbucks has the same look and feel of the venues on land and offers a full selection of coffees, teas, and even some of the line’s signature food items. 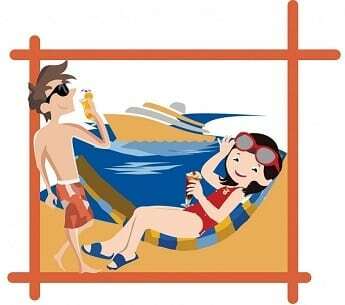 Beverages are not part of the Ultimate Beverage Package, and the food items are priced a la carte. 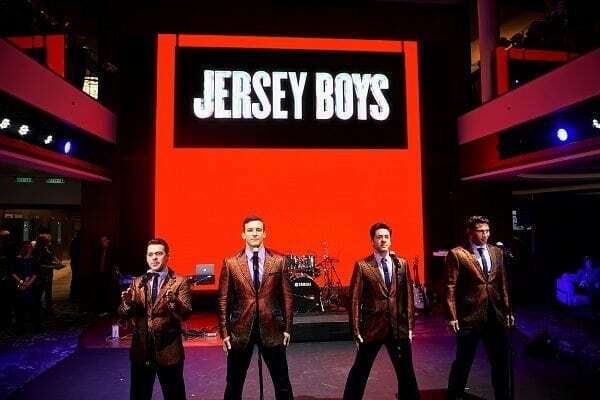 Cruisers on Norwegian Bliss can travel back in time to the 1960’s era with the Broadway hit Jersey Boys, headlining in the main theater. Relive the story of Rock and Roll Hall of Fame band, the Four Seasons, as told from the perspectives of each of the founding members. The show features all of the band’s big hits and plays two nights during the cruise, with both an early and a late show time. We highly recommend making reservations pre-cruise for this show. Freestyle cruisers are friendly, and what better place to mingle than the new Social Club on deck 6. This venue serves multiple purposes, including regularly hosting comedy shows from two onboard comedians, transforming into a speakeasy for a one of a kind show (see below), and becoming the after hours nightclub with the resident DJ. The late night party goers will love the dance floor, fully stocked bar, and cozy seating at this dynamic venue. 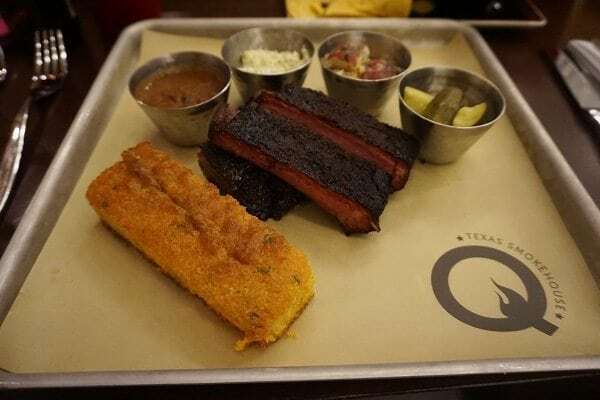 NCL’s first ever barbecue joint, Q Texas Smokehouse, has made its debut on Norwegian Bliss. This specialty restaurant showcases Southern cooking with items like deviled eggs, chili, brisket, barbecue sandwiches, and pecan pie. Don’t forget the sides including the Jalapeno cheese cornbread and everyone’s favorite mac and cheese. Not to mention, the restaurant also has a signature drink menu featuring the smoked peach margarita on tap. Fortunately, this restaurant is covered by the Norwegian Specialty Dining Package so pull up a chair and dig in. Shh, there is a speakeasy onboard Norwegian Bliss. If you are lucky enough to gain entrance, you will have the chance to experience Happy Hour Prohibition – The Musical. This musical transports guests back in time to the Prohibition era complete with bootleggers and showgirls. The cover charge is $19.95 a person, which includes five different specialty cocktails exclusive to the show. Currently, reservations for the show can only be made onboard the ship. When it comes to dessert cravings, there is no better place to indulge your sweet tooth than Norwegian Bliss. In addition to the line’s Bake Shop and Dolce Gelato, this ship features the brand new venue, Coco’s. Located on deck 6, Coco’s is a chocoholics dream come true. 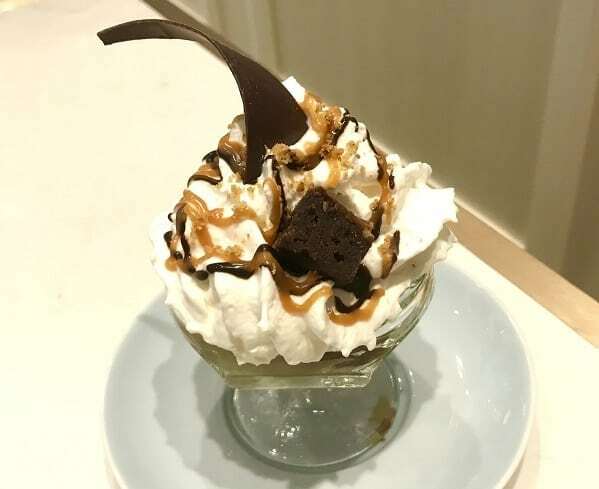 From the chocolate fountain at the entrance to the wide selection of ice cream sundaes and milkshakes, you can pop in for a mid-day snack or save some room for an after dinner treat. All items here are priced a la carte. Located on the Waterfront, with both indoor and outdoor seating, you will want to visit the master mixologists at the Sugarcane Mojito Bar during your cruise on Norwegian Bliss. Spice things up with the Jalapeno Cucumber mojito or enjoy a refreshing Raspberry Guava mojito. There is no wrong choice here. You can also sample one of the several other bars with featured menus including the new A-List Bar, the Malting’s Whiskey Bar, the Cellars Wine Bar, or the over 50 craft beer selections at the District Brewhouse. 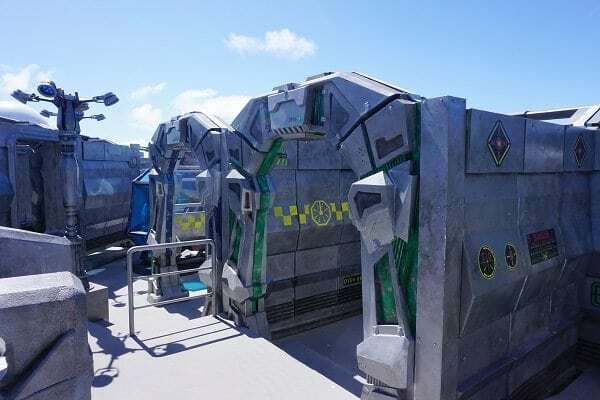 Get ready for an all-out guerrilla warfare game of laser tag on Norwegian Bliss. Join a team, get suited up with a blaster, and prepare for the most thrilling and tactical experience at sea. A futuristic space backdrop sets the stage for the game, but be prepared to use some strategy if you want your team to come out victorious. Laser tag is currently a $5 up-charge, per person. 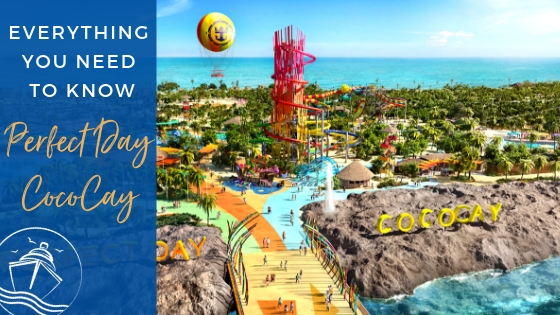 Similar to other newer NCL ships, Norwegian Bliss has a waterpark featuring some of the most adventurous waterslides at sea. The Ocean Loops free fall slides will have you twisting and turning and even extending over the side of the ship during your ride. There is even a see-through portion so you can witness it all, if you can keep your eyes open during the plunge! Are you daring enough to experience this thrill? 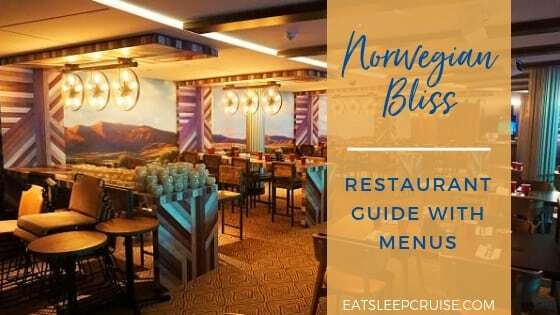 The Waterfront on Norwegian Bliss is lined with bars, restaurants, and even an ice cream shop. 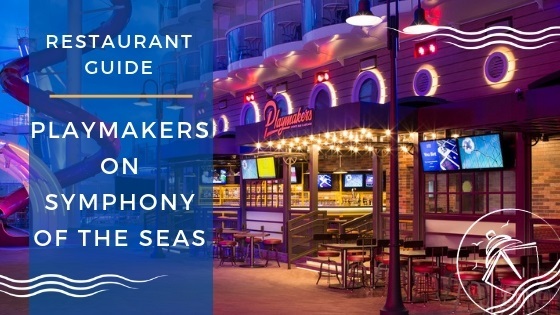 If you choose to dine at one of the specialty restaurants, including Ocean Blue, Cagney’s, Los Lobos, or La Cucina, you can opt for al fresco seating. 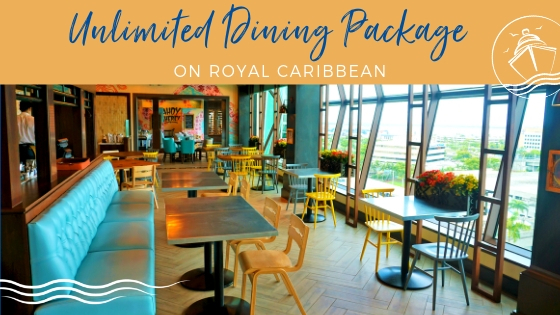 These restaurants offer outdoor seating on the Waterfront that allows you to enjoy your meal with a cool breeze through your hair, the calming sounds of the ocean, and the perfect sunset backdrops. 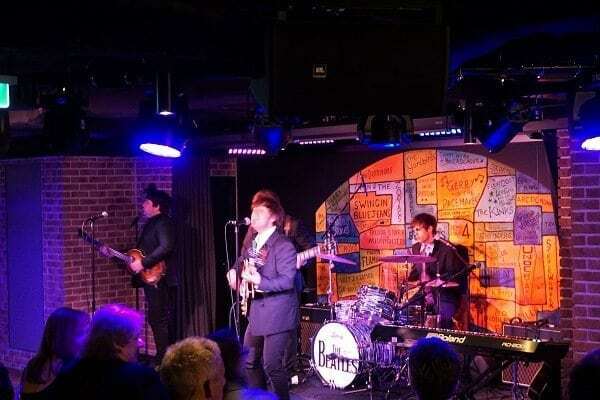 Music lovers will want to pull up a seat in the Cavern Club on deck 8 and get ready to sing along to the popular songs of the Beatles. Country music fans can kick up their boots at the Q Texas Smokehouse with the Camille Rae band performing in the evenings. 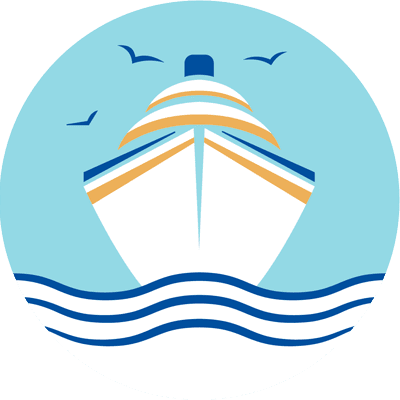 Live music is also featured in other venues around the ship including the District Brewhouse and the Atrium, with the popular NCL rock band, Siglo, currently on the ship as well. On Norwegian Bliss, you don’t have to look far to find the next big party. The line has rolled out two new parties on the ship. The Latin-inspired Caliente will heat up the dance floor, whereas the new Nashville Nights will have you strutting your stuff. Perhaps the most happening party on the ship will be the one you don’t even hear. The line’s “silent disco” will have you dancing to the beat of your own drum, while listening to your own musical choices via headphones. 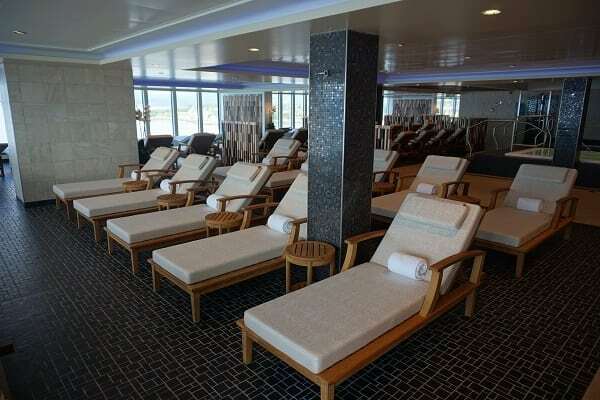 Spend your days at sea relaxing in tranquility at the ship’s impressive Thermal Suite. A pass will get you access to the therapy pool, whirlpool, sauna, and the popular snow and salt rooms. 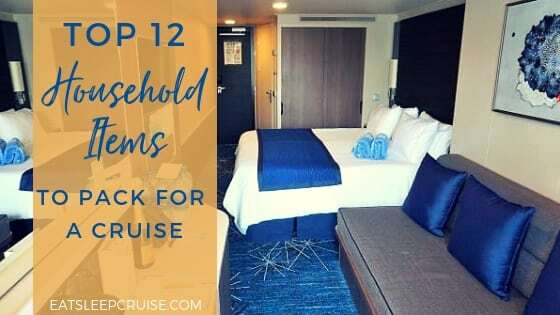 Located on Deck 16 aft, the heated loungers in the Thermal Suite offer unparalleled views to help you unwind and rejuvenate after a long day traversing the Alaskan wilderness. 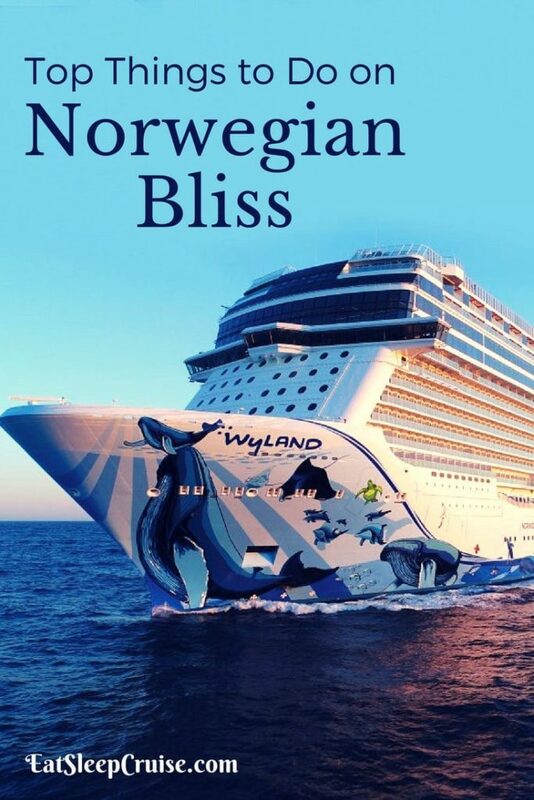 Have you sailed on Norwegian Bliss? 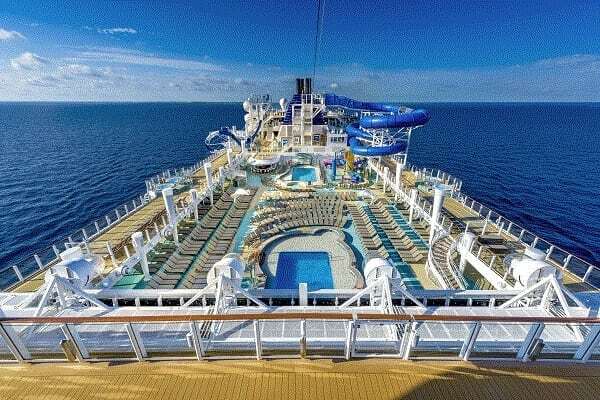 What is your favorite thing to do on this new ship? 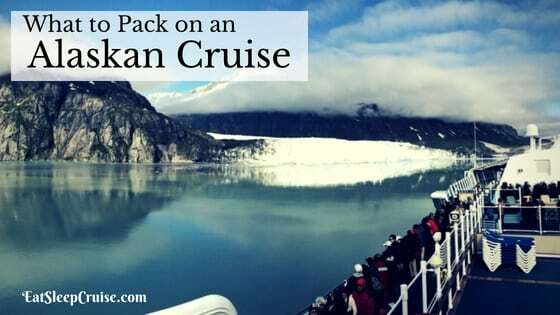 Drop us an anchor below to share your tips for cruising on this largest ship in Alaska. If you’re a beer aficionado, The District is a must…! Awesome beer selection, great view, and festive atmosphere…! GO…! Thank Tony for the comment. We agree the District is one of DB’s favorite spots on the ship. 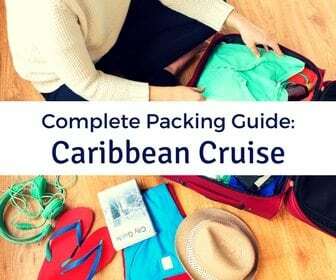 On our seven day cruise, we plan to spend more time at the venue. Happy sailing. Thanks for the comment. NCL Bliss is one impressive ship. Glad you found our post informative.